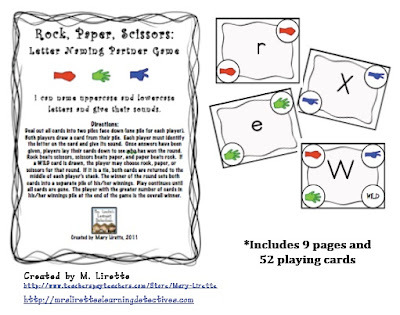 Classroom Freebies Too: Letter Naming Partner Game! Do your kids love playing Rock, Paper, Scissors? Mine do! That's why I've created several educational games with a Rock, Paper, Scissors twist! Stop by my blog to download this free letter naming partner game!